A fully featured and high performance sqlite based server. cubeSQL has been deployed more than 78 million times since 2013. Please read cubeSQL and schedule backups on our blog. 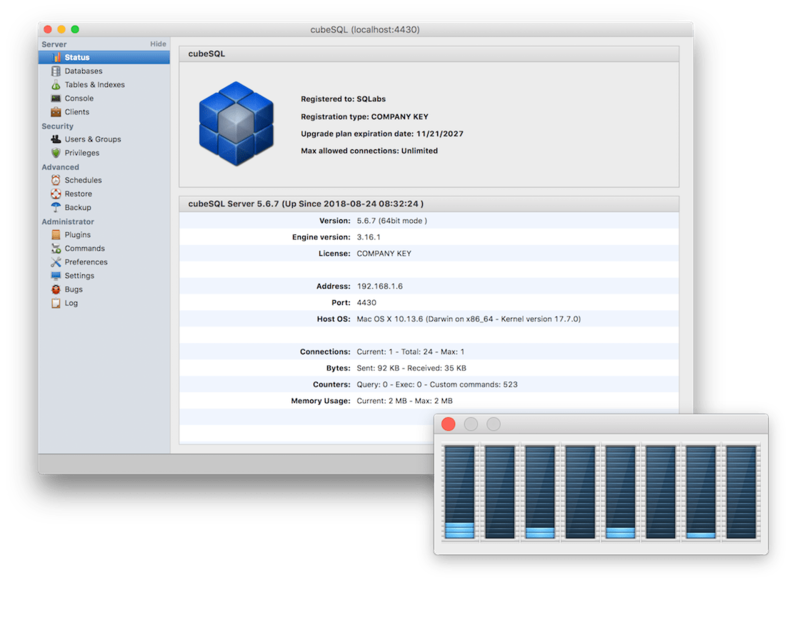 Please read cubeSQL 5 and Mavericks/Yosemite Firewall on our blog. A fully featured and high performance relational database management system built on top of the sqlite database engine. cubeSQL with up to 2 concurrent connections is now Freeware. Request your free key today! Creo is the next generation mobile app development tool. Now with sqlite and cubeSQL support!